When you were little, you always wanted to be a Jedi master. And do you know one of the greatest things about growing up? No, not candy for dinner. It’s that you don’t have to wait around for anyone to sign off on your dreams anymore! Can you believe it? You’re now ready to fight off the dark side! And you’re wearing the iconic cream tunic and tan pants of your favorite Star Wars character. It’s almost too good to be true. 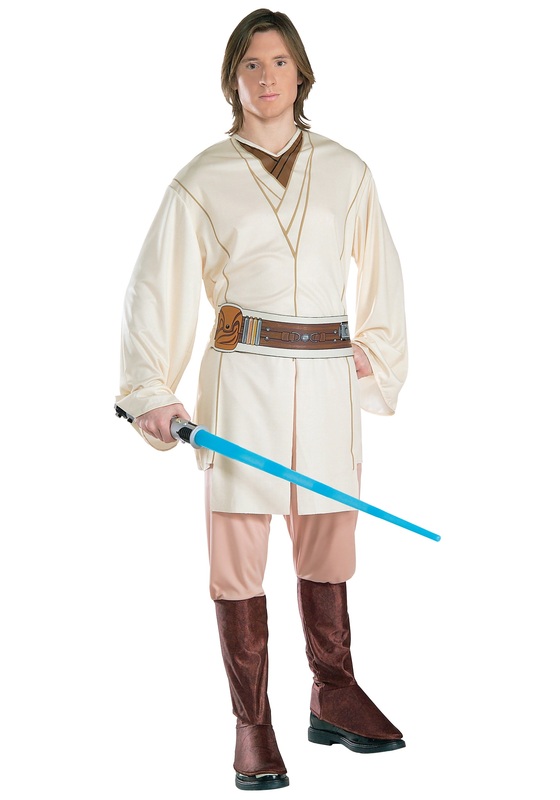 The foam boot covers and graphic-printed belt complete the look and officially welcome you into the Jedi order. It’s a little harrowing here, but the light side of the force can use all the manpower it can find. Don’t be surprised if your pals come up to you all night seeking your counsel--you just look so authentic in this costume, and everyone needs a strong mentor in their life.